A fantasy themed free to play title Riders of Icarus is a AAA MMORPG with beautifully rendered graphics developed using Crytek engine and is set in a world where you yourself are able to fly around on flying mounts, engage in aerial battles with winged creatures and dragons, and fight off the forces of evil in a story focused quest driven epic. Escorting the Princess to seek out the prophet where she could study Ellora's relic, your group was ambushed by the Frostguard atop their flying dragons lead by the traitor Rondo, a huge battle ensues and your group is defeated and captured. Woken up in your cell by one of the Onyx Order you are freed, only to find that the Princess has been moved on and now your true quest begins; to find the Princess and stop the Rondo. 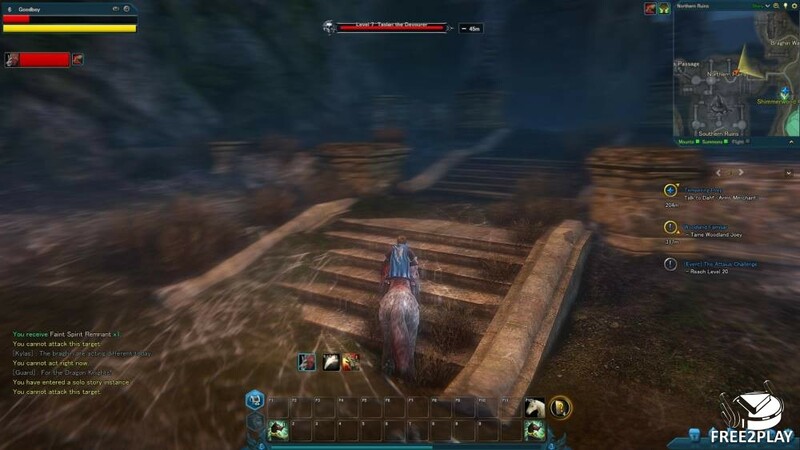 Riders of Icarus follows traditional MMORPG gameplay where players will create and control their own character and advance them through the game earning XP to level up and grow stronger whilst obtaining new skills and more powerful gear and advancing the storyline. Exploration is a key aspect to the game as heading into new areas will provide new challenges, stronger enemies and even greater loot drops. 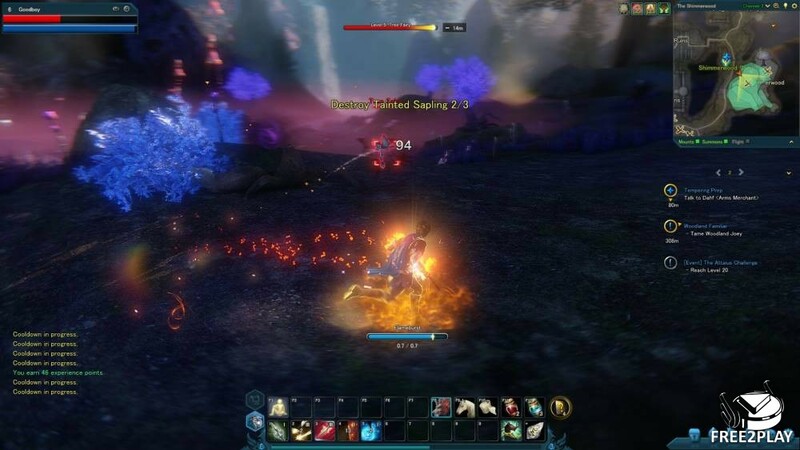 With multiple classes the game is geared towards a more social style of gameplay, grouping together with friends or guildmates to take on greater challenges in the many dungeons. Each class has three distinct talent trees that can be advanced, allowing the player an element of customization within each class that best suits their own style of play; players earn one talent point every five levels and can distribute them freely across the trees. A mix of tab targeting and more action based combat, players will have to dodge and maneuver around the battlefield using their abilities to keep out of the way of enemy attacks, whilst firing off combinations of attacks and abilities to stagger, harm and kill their enemies. Some abilities have synergy with each other in different ways and can destabilize an opponent making them more vulnerable to other status effects. 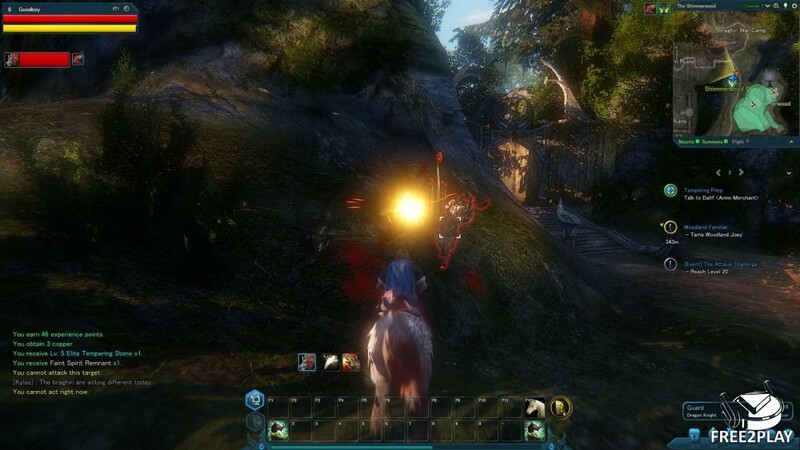 Combat typically happens on the ground, but equipped with a mounted weapon players can fight on the back of horses and various other mounts, even using the creatures own skills to aid them. Furthermore, when sitting atop a flying mount such as a Pegasus or a dragon then players can even engage in aerial combat at fantastic heights! 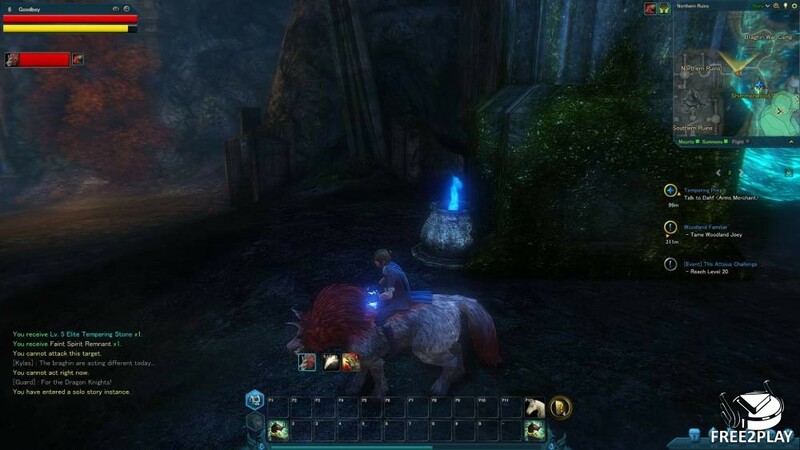 The game focuses mostly on PVE with a variety of zones that will be uncovered and explored, each rich in a creatures and monsters to fight for loot or even tame and turn into your own mount or pet familiar where you can actively try to tame all the creatures in the world. Dungeons hold particularly great challenges with huge powerful Bosses waiting to be taken on; players are able to choose the difficulty of their dungeon, increasing the difficulty makes the mobs inside harder to kill but will grant the greatest rewards to any successful players.